Gary Mortenson, director of the School of Music, Theatre, and Dance in the College of Arts & Sciences, will soon begin a new chapter in his life as the dean of the School of Music at Baylor University. 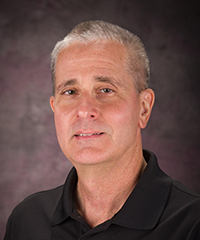 Mortenson's tenure at K-State began in 1989 when he came to Manhattan as an assistant professor of trumpet in the Department of Music. Over the course of his 26 years at the university he has served as chair of the Wind and Percussion Division, chair of graduate studies in music and head of the Department of Music. In 2012, he helped form the School of Music, Theatre, and Dance, serving as the school's inaugural director. "Gary Mortenson was a unifying force behind the new school," said Peter Dorhout, dean of the College of Arts & Sciences. "He had the vision to create something new at K-State that has attracted national attention. The position at Baylor represents a new leadership opportunity for Gary; we were very lucky to have him for 26 years, and they are very lucky to have him now." Since the formation of the school, Mortenson has worked with the faculty and with friends and supporters of K-State to renovate Kirmser Hall, address infrastructure needs in the Mark A. Chapman Theatre, gain All-Steinway recognition for K-State — the only university in Kansas to hold that distinction — and to realize the construction and opening of the new Purple Masque Theatre on the west side of Memorial Stadium. On May 6, he will receive the Presidential Award for Outstanding Department Head. Mortenson will begin his tenure at Baylor University on July 1.